IF YOU ARE LOOKING TO BUILD A NEW BUSINESS IN THE FAST GROWING CITY OF LOCUST, THIS LAND MAY BE FOR YOU. County water is available with payment of tap fees, City Sewer and Natural Gas lines are across the street. 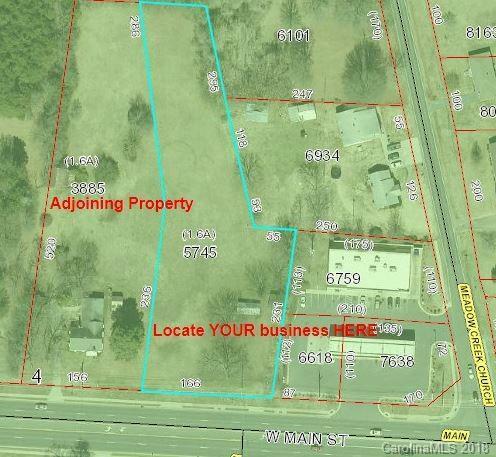 1.52+-/ acres adjoining is also available for a total of 3.15+/- acres. 27,000 +/- VPD traffic count. Seller thanks you for considering this property and will look at all offers.